The Jabiru J170 is the "little brother" to the larger J230 and J250 series also from Jabiru USA. While the larger models evolved from the four seater Jabiru (Australia) kit -- without the two extra seats, of course -- the J170 evolved from the original two seater kit. But it still has plenty of room inside and is easily pulled through the air by the four cylinder, 85-hp Jabiru 2200 engine. The Jabiru J170 is the “little brother” to the larger J230 and J250 series also from Jabiru USA. While the larger models evolved from the four seater Jabiru (Australia) kit — without the two extra seats, of course — the J170 evolved from the original two seater kit. But it still has plenty of room inside and is easily pulled through the air by the four cylinder, 85-hp Jabiru 2200 engine. Factory Tour -- For their open house and seminar, Jabiru will pull airplanes out of their large hangars. Arion Lightning LSA are built in this hangar. Jabiru USA's J170 (top) and J230 hold the #7 market share rank with nearly 100 units flying as SLSA. I am not aware of any other airplane company on Earth that builds both airframes and powerplants. Jabiru does. The Australian company has been doing this for years and has supplied approximately 2,000 airframes and more than 6,000 engines to the light aircraft market, according to Jabiru USA boss, Pete Krotje. That's cool, but if you want to learn more about each, where do you go? 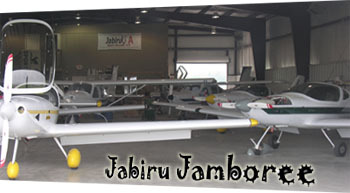 One place -- this coming weekend -- is the Jabiru Jamboree. *** On Friday June 11, 2010, open house and factory tours start at 1 PM with an engine maintenance session at 3 PM followed by a cook-out at 5 PM. 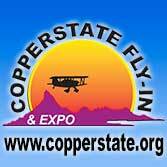 On Saturday, the day is full of seminars on Jabiru engines and airframes in the morning with avionics, firewall-forward issues (wiring, cooling), and engine tuning in the afternoon. On Sunday, Jabiru plans, "Wheels up for a Jabiru Adventure to Patti's 1880's Settlement at Grand Rivers, Kentucky." Sound like fun? You can join them! Call 800-Jabiru1 for info. 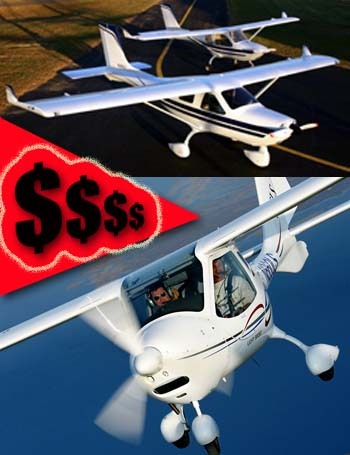 *** Some folks have seen that plenty of Rotax seminars are offered in addition to video lectures but they've seen less of such offerings for Jabiru... the second most common brand on Light-Sport Aircraft. 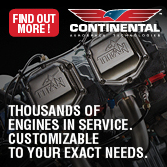 The truth is, the easygoing folks at Jabiru USA regularly hold full engine seminars. The upcoming editions of these training sessions occurs over September 10-12 and again over November 19-21, 2010. 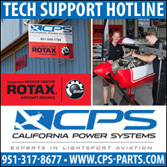 If you are an aviation mechanic, you can increase your business by getting trained on these powerplants. 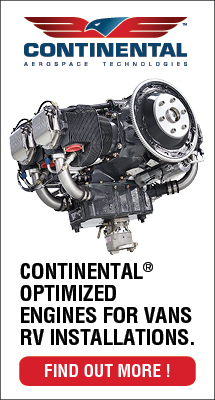 A pilot who wishes to do his or her own maintenance (when permitted by FAA regs) or any pilot who simply want to better understand these popular engines from Australia is encouraged take the course. Info is available from the number above or by emailing Jabiru or at this website. I am not aware of any other airplane company on Earth that builds both airframes and powerplants. Jabiru does. The Australian company has been doing this for years and has supplied approximately 2,000 airframes and more than 6,000 engines to the light aircraft market, according to Jabiru USA boss, Pete Krotje. That’s cool, but if you want to learn more about each, where do you go? One place — this coming weekend — is the Jabiru Jamboree. *** On Friday June 11, 2010, open house and factory tours start at 1 PM with an engine maintenance session at 3 PM followed by a cook-out at 5 PM. 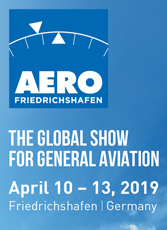 On Saturday, the day is full of seminars on Jabiru engines and airframes in the morning with avionics, firewall-forward issues (wiring, cooling), and engine tuning in the afternoon. On Sunday, Jabiru plans, “Wheels up for a Jabiru Adventure to Patti’s 1880’s Settlement at Grand Rivers, Kentucky.” Sound like fun? In the upcoming Learn To Fly issue of dead tree Plane and Pilot, I wrote an overview article covering the Sport Pilot license. 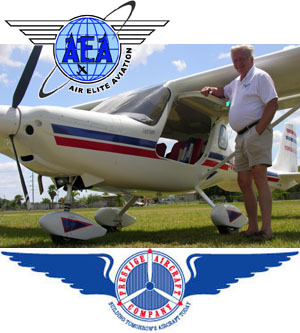 *** Helping me out with some valuable insights was Jim Sweeney, well-known ultralight/Light Sport teacher/expert who really knows his FAA regs. 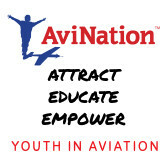 *** One comment Jim made: FBOs have been slow to embrace LSA flight training for a variety of reasons, including reticence to invest in aircraft and training aids for fears the movement would wither on the vine like the Recreational license. *** So I was happy to have Jim note this year’s increase in LSA training nationwide. *** In that vein, Kandace McCoy, in an unusually accurate (for the media) story in the Mt. Vernon News-Register, brought good Christmas tidings for midwesterners: the opening of Southern Illinois LSA Flight Academy, a new school two years in the making that will operate out of Mt. DESIGN TEAM - Pete Krotje (left) and Nick Otterback are two of the main team members creating Jabiru USA aircraft. The Jabiru designs originated in Australia, but the team achieved a highly desirable aircraft of their own with the Lightning, sold in kit form by another company, Arion Aircraft. MODERN DESIGN - Though the Jabiru has been around for many years, the J170 has a modern look, thanks partly to its sporty (and effective, they say) winglets. SMOOTH GLASS - Using all-composite construction, the J170 and its sibling J250 are smoothly contoured models that perform well. SQUARE TAIL - Some have called Jabiru's tail design "boxy," but I found no fault in the handling or tail effectiveness. The J170 should make an excellent trainer. TENNESSEE-BUILT - Jabiru USA moved from Wisconsin to Shelbyville, Tennessee, where they have an active plant quartered in two large hangars. LASTING INTERIOR - The J170 comes nicely equipped for its base price of $85,000 and uses an interior finish that is simple, but comfortable. It also cleans well, says the factory. BUSY BUILDERS - Jabiru USA uses space in two large hangars to produce J250's and J170's according to ASTM standards. The company also gained approval for the Calypso model. CENTRAL CONTROLS - Clustering most controls at the center between the occupants make them accessible. The long, thin trim lever is available on both sides of the control console. BAGGAGE AREA - If you have the payload available, the J170 offers a generous space for gear that you can reach in flight. REMOVABLE SEATS - You can simply remove the special foam seats for easier cleaning of J170's hard surface or carpeted interior. Shoulder belts are standard. The Jabiru airplanes from Shelbyville, Tennessee-based Jabiru USA are funny airplanes. I don't mean funny like a joke and I don't mean the name sounds funny, though it may to those unfamiliar with the Australian brand. The Jabiru models are funny because from a distance they look rather small and they don't seem to get bigger the closer you get to them. Despite the illusion, the three Jabiru models that have earned their Special Light-Sport Aircraft (SLSA) credentials are actually quite roomy inside, even for larger American pilots. The J250 is better described as cavernous; it has perhaps the largest interior dimension of any SLSA. The J170 is smaller, but certainly spacious enough for most occupants. A 45-inch-wide cabin is 5.5 inches wider than a Cessna 172 and it has headroom enough for all but the tallest pilots. Based on the 2-seat Aussie kit, the J170 is aimed at flight schools. While it should please them with low purchase cost, low operating costs and plenty of onboard fuel, these same qualities endear the smaller Jabiru SLSA to recreational pilots of all stripes. Indeed, most pilots end up choosing the larger and somewhat more expensive J250. By a 4:1 ratio FAA registrations favor the J250 over the J170. But that may simply be the response from pilots itching for an aircraft like the roomy and speedy J250 and not enough promotion of the J170 to the flight school market. The also-small Calypso model won SLSA certification, but Jabiru USA is presently focused on the J250 and the J170. Of interest to Light Sport and Ultralight Flying readers is the background of Pete Krotje and his team at Jabiru USA. Before getting involved with the fiberglass design from Australia and subsequently entering the great light sport aircraft race, Krotje was a Titan Aircraft dealer. He's followed the new paradigm in light aircraft but at heart, Krotje remains an ultralight enthusiast. Creating J170 for the U.S. According to the J170 Australian designers, "It was developed with the flying schools in hotter climates in mind." They took their existing - and slightly smaller J160 - and installed the longer wings of the J230 and added a bigger elevator. "The longer wings allow it to climb faster in hot conditions and provide more float on landing, which is helpful when learning to land," states Jabiru Australia. Just as we went to press with this article, Krotje informed me of further changes. The J170's weight has been increased to 1,320 pounds, from 1,200 as I flew it. Krotje wrote, "Jabiru Australia has just increased the gross weight to 1,320 pounds as a result of some intensive testing for the JAR VLA version of the J170 and the Australian LSA version (J170C). They used some very sophisticated testing equipment accurate to 0.7 knots and were able to prove to everyone's satisfaction that the clean stall at gross of the 1,320-pound version was indeed 45 knots." He added that the other change was to increase the aileron size to the same aileron as used on the J230. The J170 I flew had the J230 wing, but the J160 ailerons. Using the complete J230 wing gives better aileron response, Krotje reports, but also reduces the parts inventory needed, as the J230 wing and J170 wing are now identical. "Both were designed for a 1,540-pound gross weight aircraft," Krotje says. 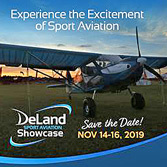 I give talks to audiences seeking more information on Light-Sport Aircraft, and I have often said that I believe Jabiru is the only aviation producer in the world that makes both the airframe and engine. No one has ever corrected me so I'm keeping to that story. The fact for Light Sport and Ultralight Flying readers is that Jabiru USA's smaller J170 may meet the need of ultralight pilots seeking to move up the aircraft "food chain" just as the model also can exceed expectations of pilots stepping down from C-172s or Pipers. For both, it's something of a new brand though ultralighters know Jabiru has been around America long enough to have developed a following. This Australian airplane is built differently than LSA's coming from Europe. Most European imports are fully assembled and broken down for container shipments. In Shelbyville, Tennessee - where the company moved a couple of years ago from near Oshkosh, Wisconsin - Jabiru USA is the manufacturer of record. 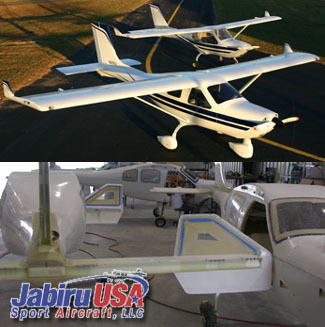 They buy major components from Jabiru Australia, assemble them, and do all the fiberglass work and bonding. The parts Jabiru USA receives are proper and ready for such an American assembly line. "In Australia, all component parts are made the same whether they're going on a certified airplane in some country or a kit in another," says Krotje. Therefore, like U.S. producers of all kinds of goods, Jabiru USA buys parts - some of them from overseas - and integrates them here in the USA to make a finished product. Effectively then, the J170 is a U.S.-manufactured aircraft. "It's not the same as RANS," Krotje says, explaining that RANS makes all their own components. Even though companies like Boeing or General Motors use parts made in other countries, everyone considers them American manufacturers. The key phrase, coined more than decade ago, is "domestic content," relating how much of the final product is fabricated here in America. In Jabiru USA's case, this is obviously more than 51% since the Jabiru models can also qualify as Experimental amateur-built aircraft. Jabiru USA must do all the continuous safety monitoring required by ASTM standards when normally the original component manufacturer would do that. And the U.S. operation must audit Jabiru Australia as a supplier of their U.S.-based production. They do so by looking at the CASA (Australian government's equivalent to the Federal Aviation Administration) audit of the business. Jabiru Australia does not prefer to fully build, as they don't see how they can do the continuous safety monitoring specified by the ASTM standards. And, like most non-U.S. producers they are fearful of America's legendary litigiousness. Plus shipping fully built planes from distant Australia would present other challenges for U.S. sales, among them increased cost. The J170 I had the pleasure to fly at their Tennessee factory was therefore a U.S.-built airplane based on an Australian design and airframe components. Many items are added from non-Australian sources. Getting Inside the J170 Getting into the J170 proved to be easy as the doors open widely and the struts present no obstacle. You turn around, sit down, and draw your legs inside. Reaching the wide opening door can offer a challenge at times, but entry is among the easiest in the LSA world. Some have also criticized the door fit, but Krotje assures me work is proceeding to improve fit and finish. After entry I noticed this J170 was basically but more than adequately fitted with avionics. Jabiru USA's N582J (no, it doesn't have a Rotax 582 installed) had a Grand Rapids Technologies EFIS system plus that company's electronic engine monitoring system. The little Jabiru therefore had an all-glass cockpit with only an analog airspeed indicator as a token round gauge A throttle control is available on either outside edge of the cockpit with a single joystick in the middle. Instructors will certainly appreciate the dual throttle and it's convenient to use. I used the fiberglass doorsill as an arm support while fine-tuning my throttle settings. Perhaps half of the interior is a hard-surface cabin interior. Since you can use easily removed seat covers, cleaning up regularly would be simple. The baggage area is mostly carpeted, which you'll have to vacuum periodically, but it helps quiet the interior. I've flown the Jabiru engines in several other aircraft brands and firing them up has always been a simple experience for me. 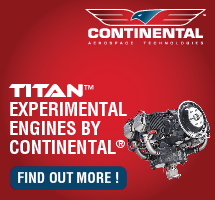 I've discovered many general aviation pilots prefer this engine to Rotax, as it sounds closer to their experience and because the tachometer readings seem more ordinary compared to the much higher-revving Rotax 912 series. The J170's rudder steering on the ground is a direct linkage and that accounts for you having to do all the work. The lighter J170 seemed more comfortable during taxi than I recall with the J250 (though that was an early SLSA model). Rudder pedal movements required some muscle and the turn radius seemed wide enough that tight maneuvering on airport ramps will require a bit more planning. The Shelbyville airport had some airplane movements on the beautiful day we flew, one of them a corporate jet, but soon we had the long north-south strip to ourselves. As with several Jabiru USA or Arion Aircraft airplanes, I again flew with Nick Otterback, a young and very talented pilot. Otterback let me have the J170 after he broadcast our intentions on Unicom. I advanced the throttle on the 4-cylinder 85-hp Jabiru 2200. Rotation came quickly at about 45 mph and we were off and running. A few center stripes down the runway, perhaps 500 feet or so, found us in the air and climbing about 600 to 700 fpm. It was a warm, humid day in early May and this is the smaller Jabiru powerplant, but climb certainly matched or exceeded that of many general aviation trainers. Light Handling, Yet Steady I love to repeat this story: EAA conducted a photo shoot from their specially modified Cessna. Their team has done this hundreds of times and has the art of formation photo flying down to a science. In photographing the J250, which shares flight characteristics with the J170, Ben and Nick from Jabiru USA were radioed by EAA's photographer to assume a 30° bank and "just orbit." The plan was for the faster photo plane to fly around them and shoot the desired views. A few minutes into this exercise, the two J250 pilots received another message: "Would you please put your hands on the joystick so it looks like you're actually flying?" My own experience performing steep turns in the J250 brought a similar feeling. The J170 can consistently hold bank with almost no input, assuming you had trimmed it well. The 2-seat Jabiru displayed straightforward handling characteristics at maximum speeds or, as I found out later, in slow flight. "Large ailerons and winglets give excellent crosswind handling performance," say the Australian designers. And now, those ailerons will get a little larger, increasing their authority. J170 ailerons self-center with aerodynamic loads, although return springs help center rudder pedals. A mass-balanced elevator provided aerodynamic stability as well as light forces. Slow flight was comfortable at 45 to 48 mph, according to the Grand Rapids EFIS and, on the other end, maximum speeds approached the 120-knot (138 mph) limit for light sport aircraft; the glass instrument said 112 knots (129 mph) when I tried to approximate 75% power. Vne is 144 mph in the J170. All the Jabiru airplanes share a speedy attitude. Students and recreational pilots will enjoy the Jabiru engine's use of a pressure-compensating carburetor with automatic mixture control. "This gives us a simple 'single lever' power control," says Otterback. Thanks to good carburetor control, "the Jabiru engines are flying at higher power settings while using the same or less fuel," adds Krotje. At a 112-knot (129 mph) cruise speed in the J170, the 2-seater proved to be very smooth and controllable. The smaller plane may not often be used for long cross-country flights, but it could certainly accomplish them satisfyingly. The J170 should also prove free of surprises en route, another good flight school quality. "This J170 aircraft - as with all Jabiru aircraft - has successfully completed the FAA FAR Part 23 testing requirements including a full spin matrix, complete static, dynamic, asymmetrical loadings, and loaded drop testing," says Krotje. Jabiru J170 More "Affordable" Krotje is pleased to say that the Jabiru airframe design has proven itself over hundreds of thousands of flight hours with the two highest time airframes exceeding 8,000 hours, and dozens with more than 4,500 hours. The Australian company's airplanes are flying all over the world and much of this flying has been in flight schools with the extra rigor of training student pilots who may make firm landings. Krotje says the flight training application illustrates the design's reliability, predictability, durability, and longevity. Blazing the LSA trail for Jabiru USA is the J250. It's also the price leader for Jabiru USA at $96,900, which will be your base price if you want the extra room or extra power of the J250. With a smaller airplane with the spirited, more modest 85-hp Jabiru 2200, you can save $12,000, a pretty good chunk for essentially the same airplane. The $84,900 price includes a Sensenich wood prop, stainless exhaust, electric flaps, hydraulic brakes, upholstered interior, map pockets, embroidered sound curtain, basic analog instruments (ASI, VSI, altimeter, compass, slip/skid), EIS digital engine monitor, Garmintransceiver, intercom, ELT, and a power plug. For some, this is plenty. Others want options. 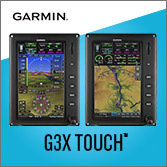 Add a transponder (Garmin GTX327 for $3,185), navigation and strobe lights ($800), landing light ($195), TruTrak Digiflight II G 2-axis autopilot ($6,525), leather seats ($950), and Sensenich carbon fiber ground- adjustable prop ($1,150). Get the transponder plus the Grand Rapids Horizon Sport EFIS, internal GPS, and Garmin SL40 transceiver for $7,995. 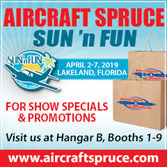 With kits still available and a related airplane company, Arion Aircraft selling the Lightning, and their national support and sales of the Jabiru engine line, Jabiru USA offers lots of depth to their airplane portfolio. And the entire line is essentially made in the USA. Jabiru USA displays at most of the major and some minor airshows. Come take a demo flight in the several aircraft of Jabiru USA to see if this interesting set of designs is right for your flying enjoyment. Yes, they may have a funny name, but they're certainly fun in the air. Standard Features Jabiru 2200 with electric starting, ASI, altimeter, temp gauges, tachometer, Garmin comm Radio, intercom, ELT, enclosed cabin with two entry doors, in-flight trim, remote choke, convenient full shut-off, shock-absorbing gear, steerable nosewheel, hydraulic brakes with parking feature, stainless exhaust, finished interior. Options EFIS avionics package (includes GPS radio, transponder), LED wingtip navigation/strobe lighting, TruTrak autopilot, leather seats, Sensenich carbon fiber ground-adjustable prop. Construction Composite airframe, wings, and tail. Made in the USA by American-owned company; major components imported from Australia. Pros - Smooth, all composite construction and winglets give the J170 a modern appearance. Though the J170 identifier may be new to Americans, it is based on the Australian company's 2-seater sold for many years. Only company I know producing both airframes and engines. Well-established brand. Cons - Most pilots choose the J250 over the J170 perhaps because it is roomier and more powerful, or possibly because the J170 hasn't been promoted enough to flight schools. Since pilots seem to prefer more to less power, the 85-hp 2200 Jabiru engine may curtail resale value. Pros - Though a simpler, less costly model, the J170 has all the usual SLSA features: flaps, trim, electric start, and strong hydraulic hand-lever brakes with parking brake feature. Trim lever available on both sides of console, easier to reach and control finely. Fuel at 35 gallons is generous. Cons - The test J170 had no panel-mounted position indicator for flaps (though an LED flap indicator has since been added as standard). Some pilots prefer foot-operated to handbrakes. Like most LSA's, the J170 hides its engine under a cowling, making inspections more difficult and repairs more time-consuming. Pros - A high wing, wide-opening doors and a centrally located joystick make the J170 among the easiest-to-enter aircraft I've evaluated. Adequate panel space for additional instruments/radios. Choke and cabin heat controls in center panel. Arm support for joystick. Good baggage space. Cons - The center-located joystick is great for left-seat pilots but might present challenges for new right-seat positioned students. Cabin may be a little tight if both occupants are large; center console takes up hip room. Seats lack much padding or shape for longer flights. Pros - Good steering precision. Good ground clearance and springy enough gear to handle off-field landings. High-wing designs are good for ground clearance while taxiing, even at unimproved strips. Hydraulic brakes were quite effective. Controls were light on the ground for quartering control. Cons - Hand brake adds no directional capability; turn radius not as tight as toe brake designs or taildraggers. Like most high-wing designs, the J170 prevents upward viewing for pretakeoff traffic. Rudder pedals are very small; your foot can slip off them. Using your hand for brakes offers less power than legs. Pros - Reasonably short takeoff behind 85-hp Jabiru engine: 460 feet. Excellent landing visibility and aft quarter windows help the pilot see towards the rear. Flaps on landing allow slow approaches (below 50 mph with experience). Longer glide capability means better reach in the event of power loss. Cons - Visibility above is limited. Compared to some other LSA, the J170 runs a bit long on takeoff and its glide can make for longer rollouts (though good speed control still permits using short runways. Crosswinds limited to 14 knots (16 mph), a bit conservative. Pros - Pleasant, light controls with crisp but not sudden response; very good qualities for a trainer. Holds turns very well with little input and not much addition of power, even for steep turns. Good control authority throughout speed range, even when very slow. Cons - Manufacturer states 14-mph maximum crosswind component (though design appears to have authoritative controls). Some lack of harmony between ailerons self center aerodynamically and rudder pedals, which have centering springs. Pros - Quite spirited performance from 85-hp Jabiru: maximum power yields 115 knots (132 mph), 75% cruise is 100 knots (115 mph). Never exceed speed is 125 knots (144 mph). Glide ratio listed as 12:1, a strong figure. Fuel consumption can be 3.5 gph when not climbing, producing a 10-hour endurance. Cons - Climb rate at 700 fpm is fine but weaker than numerous other LSA. Payload at full fuel was only 352 pounds on the test J170, a bit low among LSA (though this was raised to 472 pounds at the new gross of 1,320 pounds). Not the very fastest LSA (though its speeds may be about perfect for ultralight enthusiasts). Pros - Using full flaps, the J170 flies to 38 knots (44 mph) before a very mild stall. Qualities in all stalls performed was very modest, hardly a nose-over and no wing drop. Good cross-country cruiser as it holds position well without much pilot input. Longitudinal stability check was positive, as was power response. Cons - Some adverse yaw (as expected) causes a need for coordinated use of controls. No spins attempted; parachute not fitted, not offered as optional. Pros - Good model for flight school use: good-size cabin, easy entry/exit, and large fuel source for extended flights, docile handling, and reasonable performance from 85-hp Jabiru 2200. Price reasonable for its class. Well-proven design series, modified slightly for LSA rules. Solid U.S. builder. Cons - Flight schools may not like the center-mounted joystick or the hand brake (though they might like each after some familiarization). At $85,000, the J170 isn't low cost. No quick breakdown or folding wings. Some has criticized door fit and interior quality. Simple, hard-surface interior. The Jabiru airplanes from Shelbyville, Tennessee-based Jabiru USA are funny airplanes. I don’t mean funny like a joke and I don’t mean the name sounds funny, though it may to those unfamiliar with the Australian brand. The Jabiru models are funny because from a distance they look rather small and they don’t seem to get bigger the closer you get to them. Despite the illusion, the three Jabiru models that have earned their Special Light-Sport Aircraft (SLSA) credentials are actually quite roomy inside, even for larger American pilots. The J250 is better described as cavernous; it has perhaps the largest interior dimension of any SLSA. The J170 is smaller, but certainly spacious enough for most occupants. A 45-inch-wide cabin is 5.5 inches wider than a Cessna 172 and it has headroom enough for all but the tallest pilots. Based on the 2-seat Aussie kit, the J170 is aimed at flight schools.